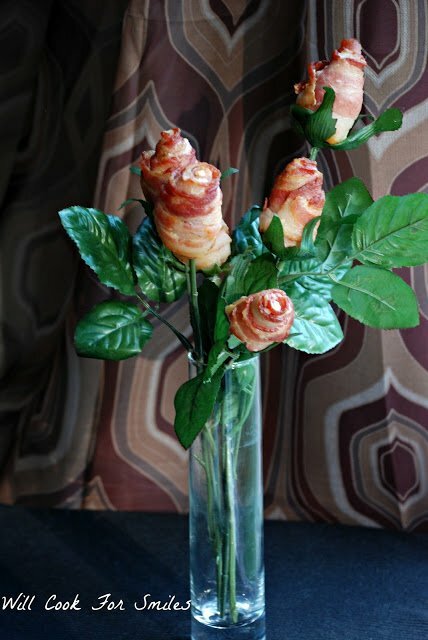 Fun way to surprise your loved one is to make some Bacon Flowers. 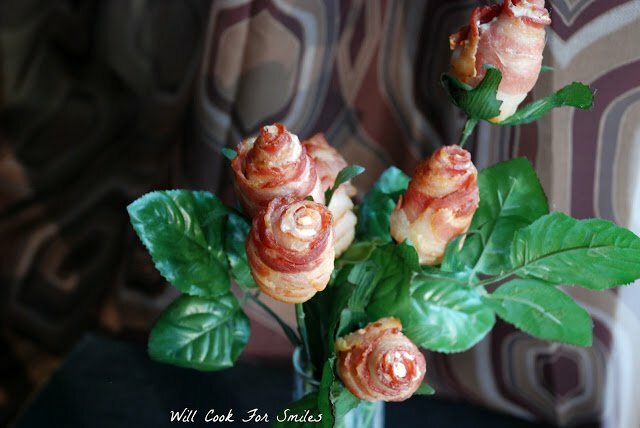 These are flowers made out of bacon! 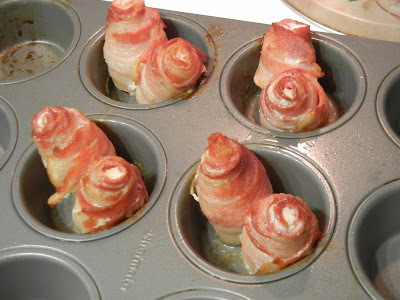 The rose buds are shaped from raw bacon and baked in muffin cups until crispy. We got some wonderful news today!! My hubby GOT A PROMOTION!! I am so proud of him!! Over two years with this company, and now he get to be THE BOSS! Sounds very nice, doesn’t it…The Boss! Love it! !>Congratulations Baby! Well Deserved! 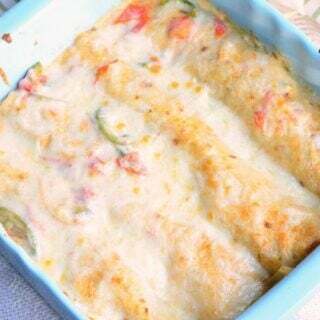 I was thinking all afternoon about what special something, I should make for him. I was going to make him Boston Cream Pie (or cupcakes). I just didn’t have enough time to surprise him before he got home. Then…”liiight-buuulb” …(imagine Mr. Gru saying it, too funny). What does my hubby love the most? BACON!! 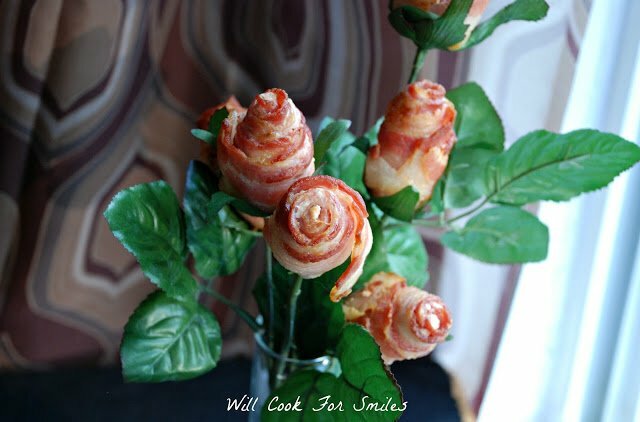 I remember the bouquet of bacon that I saw of Babble and pinned it. Bingo, best of both worlds! 2. Take the bacon out of the package. Line two slices of bacon, one on top of the other. Place the second slice a little bit higher than the bottom one. (I used two bacon slices for one rose to make it a little bigger). 3. Roll the bacon rose bud. I used two rose buds per one muffin cup. (If you have a mini-muffin pan, you can use one rose bud per muffin cup. ) Finish the package. 4. 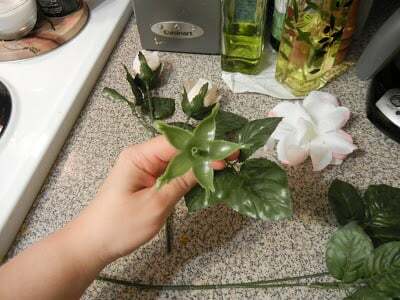 Meanwhile, prepare the flower stems. Take off the flower petals, leaving the sticks on the stem. Place the stems into the vase. 5. Line the cutting board with saran wrap and cover with paper towels (it will make for an easy clean up.) 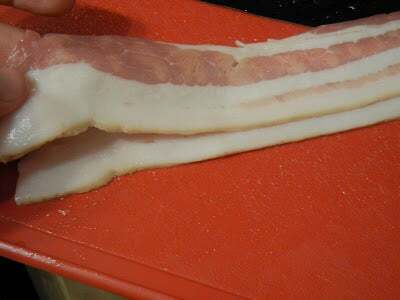 When the bacon buds are done, remove from the oven and place on paper towel to cool. 6. 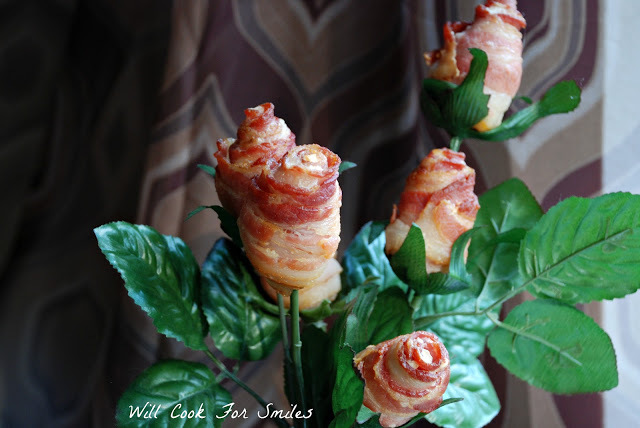 Place the bacon rose buds on the stems. Wow these are so cool, I’m sure he loved them! Congratulations all the way around! One my girlfriends made this for her hunny on Valentine’s Day, but she dipped the rose tops in chocolate. Kind of genius…right? Isn’t that amazing. I’ve never seen anything like this. I bet hubby was thrilled because you’re right,…..men love bacon (well, me too, but you know what I mean). Congrats and thanks for sharing at our party this week. Wow! How cool is that?!? 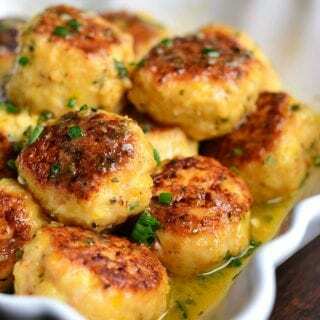 My husband would be so happy to have these show up on our dinner table (heck, I would too). And kudos to your hubby (and you for loving support) on the promotion. Haha! That looks so good right now, who doesnt love bacon?! How clever! 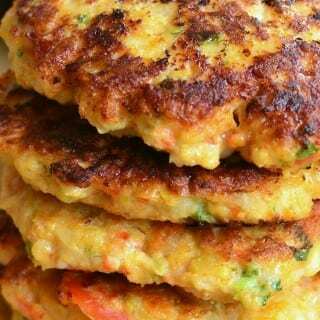 and super yummy too! THIS IS SO GREAT. Who doesn’t like bacon. Got to do this soon. This is brilliant, I must try it for the bf’s birthday soon 🙂 Thanx for sharing! What a great idea – perfect for Fathers’ Day!! Congratulations to both of you Luyba! As the wife of a “Retired Boss”, I know that the wife plays a big role it that promotion. What a precious idea and a great celebration! Hope you have a wonderful week and thank you so much for sharing with Full Plate Thursday. Funny and clever! One of the best ideas I have ever seen. Those are brilliant! 🙂 Congrats to your hubby on his promotion and you on such a fantastic gift! Thanks for sharing at Beautify It Monday – We hope to see you back next week! What a creative idea! Thanks so much for sharing at Terrific Tuesdays. These are really cool. I will have to do this for my husband sometime. 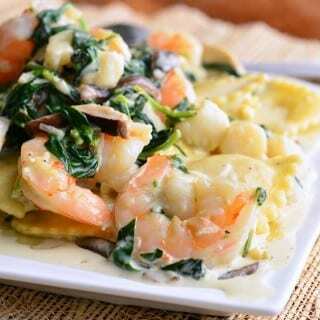 I would love if you would share this and any other posts at Showcase Your Talent Thursday http://whatscookinglove.blogspot.com/2012/04/showcase-your-talent-thursday-2.html. I hope to see you there! This is priceless! I love it! 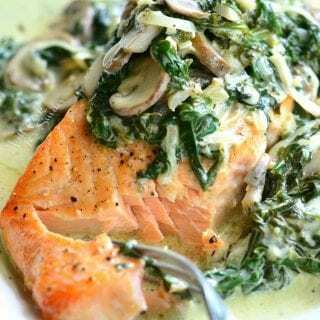 Thanks for posting at Scrumptious Sunday! WOW these are so neat! 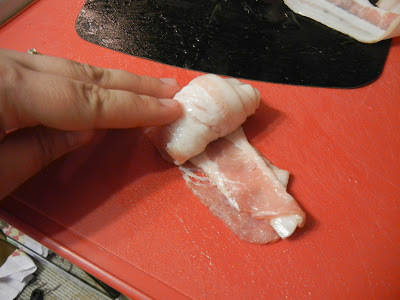 Fresh bacon buds – that will be so fun to make…for just because! Wow, Lyuba! These are incredible! These are amazing! I saw this at your 2012 recap! Must pin!! Oh, my goodness! This totally made me smile, Lyuba! 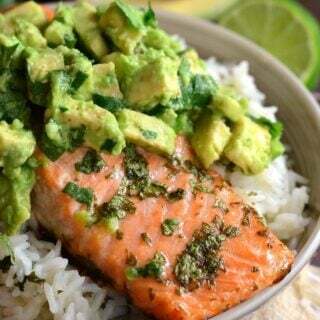 What man wouldn’t love this! (Congrats to your hubby.) Would you mind if I included this in my Father’s Day round up? This is so awesome Lyuba! And congrats to him on the promotion! This is the COOLEST thing I’ve ever seen!!!! !